Amazon and book publisher Macmillan ended a dispute over e-book pricing with the Kindle-maker conceding defeat in a skirmish that could ultimately jack up the price of e-books. One can't help but wonder if Apple's iPad may have impacted some of the behind the scenes decision-making. After temporarily halting sales of Macmillan books (that includes physical and e-books) on Amazon.com over the weekend, Amazon did and about face Sunday night and said it will start selling Macmillan books again and cede to the publisher's demands to charge more for titles sold for the Kindle digital reader. Publishers like Macmillan have been complaining that Amazon doesn't charge enough for its e-books. Most titles sell for around $9.99. Macmillan has pushed Amazon to sell some of its titles, such as Elie Wiesel's "Night" and Michael Cunningham's "The Hours," priced at $13 to $15. The pricing spat escalated over the weekend. 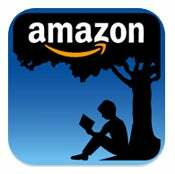 Amazon pulling the publisher's e-books from its online store. "We have expressed our strong disagreement and the seriousness of our disagreement by temporarily ceasing the sale of all Macmillan titles," Amazon said in a statement on Sunday. Amazon claims prices as high as $15 for e-books are "needlessly high", but explained that it had to "capitulate and accept Macmillan's terms because Macmillan has a monopoly over their own titles." Amazon is hoping no other publishers will take the same route as Macmillan. Is Apple's iPad Making an Impact? Perhaps some of what is at the heart of the squabble between Amazon and Macmillan is Apple's iPad. Most publishers offer their e-books to Amazon at 50 percent of the hardcover price, giving the retailer the freedom to charge for the e-books as much as it chooses to. In contrast, Apple adopted the agency model for the iBookstore on the iPad, where the publisher sets the price for e-books and keeps 70 percent of the sale, while the agency (Apple) keeps the remaining 30 percent. Amazon's model is widely seen as damaging to the publishing industry because consumers are paying too little for the titles, yet the retailer was able to set the prices by now because of the popularity of its Kindle reading device. But change in the e-book landscape industry is approaching. Apple said it has inked deals using the agency model with the biggest publishers in the country, HarperCollins, Hachette Book Group, Simon & Schuster, Penguin, and of course, Macmillan. We can expect more publishers withholding their tittles from Amazon's e-book store as the iPad launch date approaches (in around 50 days), which offers them more leverage over pricing. Consumers will ultimately vote with their e-wallets whether an e-book is worth $15. This price point, as Amazon pointed out, can be quite high, especially as publishers impose restrictions on release windows and text-to-speech features and wrap them in DRM. This whole e-book pricing dispute sounds oh-so-familiar, after in recent years music labels have been struggling to raise prices for downloaded songs and movie studios are also struggling to keep on top of the issue, though they still adopt delay tactics for digital downloads or streaming.